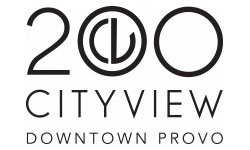 200 City View Apartments is located at 200 S University Ave Provo, UT and is managed by V Property Services, Inc., a reputable property management company with verified listings on RENTCafe. 200 Cityview Apartments offers Studio to 2 bedroom apartments ranging in size from 459 to 1210 sq.ft. This property features resort style amenities inside and out. The Apartments are located in the 84601 ZIP code. For more details, contact our office at (801) 356-7000 or use the online contact form and we will get back to you as soon as possible.